ultimate DJ turntable that professionals have hoped for, but it’s actually obtainable. 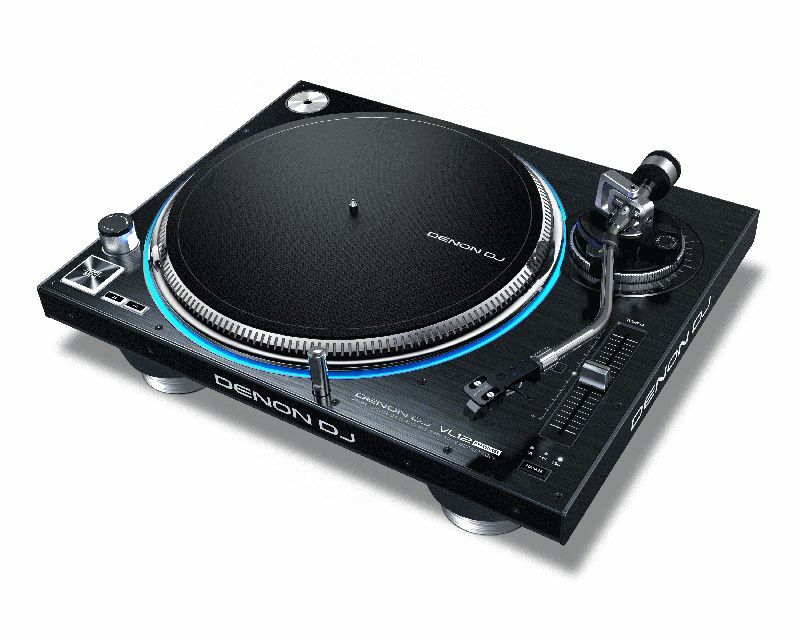 The VL12 Prime was designed and built from the ground up by Denon DJ to be the ideal professional DJ turntable. With heavy-­duty all-­metal construction and adjustable torque to fit any DJ style, the VL12 Prime cuts, scratches, and blends any music to perfection. Under the turntable are four special isolation feet, enabling the VL12 to resist vibration from almost any environmental source, even in very loud settings. Pitch is adjustable over a very wide range, from ±8% to ±50%, so the DJ can achieve the perfect tonal effect. Switchable Low and High torque settings ensure the ideal start-­up with any record, and the precise S-­shaped tone arm tracks any record perfectly, extracting every last bit of musical impact and detail. For a perfect finishing touch, the platter is ringed with RGB lighting, with custom control of brightness and color. This is a one-­of-­a-­kind turntable with striking looks to match its extraordinary performance and build quality.